Anabolic versus catabolic: What’s the difference and why does it matter for your health? The terms anabolic and catabolic are well-known in the weightlifting and body building communities, but we believe it’s time that the broader community understood what these terms mean and use that knowledge to improve health and well-being! So, what do these terms mean? Anabolic and catabolic essentially refer to whether your body is building tissue or breaking it down. An anabolic state means your body is building or repairing tissue, whereas a catabolic state means your body is breaking down tissue. Workouts are either anabolic or catabolic, and each has a different effect on your body. Anabolic workouts are focused on strength training, and will increase muscle mass. The effect of anabolic training actually takes place during rest and high intensity training, when the body produces more muscle fibres to replace the ones that were broken during exercise. By increasing your muscle mass, your body will burn fat more effectively when at rest. Classic anabolic hormones include growth hormone, insulin and testosterone. Catabolic training predominantly involves cardio exercise sessions of at least 20 to 45 minutes in duration, and will cause your body to release hormones such as cortisol, norepinephrine and adrenalin. Catabolic training will cause a loss of total body mass and is an effective fat burner while you are exercising. We believe that for most people, it is better to exercise in a way that encourages your body to be in an anabolic state. Anabolism is necessary to grow muscle tissue, increase bone density and also encourages the production of white blood cells to boost your immune system. 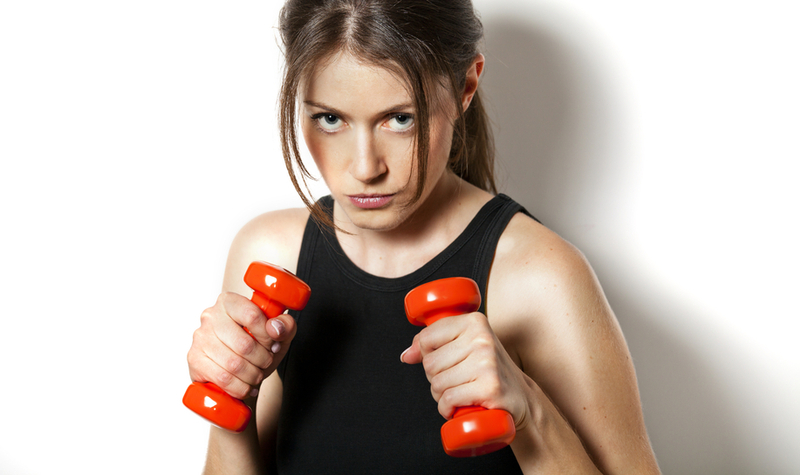 By increasing muscle mass, your body will burn fat more effectively all day – not just when you are exercising. It is vital to ensure that you are eating enough, as if your body has inadequate resources to fuel muscle repair, it will actually break down undamaged muscle tissue to repair damaged muscle tissue! Watch what you eat: A diet that focuses on fresh, natural and unprocessed foods is ideal. Aim for simple home cooked meals based around protein, good fats and clean, slow burning carbs. Sleep your way to success: Sleep and rest are vital to promoting anabolism as this is when the body will repair broken muscle tissue and grow new muscle. Aim for eight hours of sleep a night and make sure you are giving your body a chance to renew itself. Train using compound movements: Exercises like squats, deadlifts and push and pull variations develop the whole body, rather than just one muscle group. This helps to promote an anabolic state as the body will keep burning fat for hours after your workout. Reduce stress: Both mental and physical stress can lower your immunity and hamper muscle repair. The stress hormone, cortisol, is associated with a catabolic state and is known to increase blood pressure and blood sugar, and reduces immune responses. Avoid alcohol: Yes, we know this is never popular advice! But alcohol hampers the process of protein synthesis and lowers testosterone levels, both of which are necessary for muscle growth. So save the beer and wine for an occasional indulgence. Eat green vegetables: Plenty of green veggies will provide your body with phytonutrients to trigger anabolism. So there you have it, an overview of the difference between anabolic and catabolic states, and what that can mean for your health. 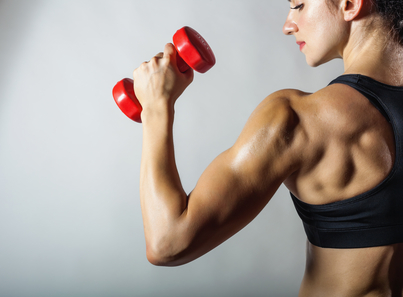 To get an indication of the amount of muscle tissue in your body, come in for a DEXA scan and we can help to tailor your training to help you turn into a lean, fat-burning machine.